According to U.S. Citizenship and Immigration Services, immigrants approved for permanent residency have the right to live permanently in the United States. Permanent residents have a green card, which grants them work authorization and they enjoy many of the same rights and responsibilities as U.S. citizens – including the right to marry and divorce at will. 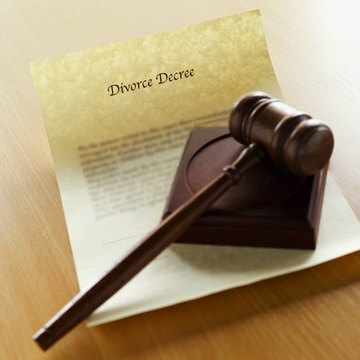 A permanent resident's right to remain in the United States is not dictated by his martial status, and a divorce will not automatically result in deportation. Permanent residence is not automatic. Immigrants must apply for and gain approval from USCIS through a process known as “adjustment of status.” USCIS requires that all applicants applying for an adjustment of status to that of a permanent resident have a sponsor who is a U.S. citizen or permanent resident themselves. Often, this sponsor is a spouse. If the couple divorces before filing an adjustment of status application or during the application process, the immigrant loses her sponsor for permanent residency and USCIS may deny the application. When USCIS denies an adjustment of status application, removal proceedings begin automatically. After an immigrant's adjustment of status application is denied, she must attend a hearing before an immigration judge. If the immigrant cannot provide clear evidence demonstrating that USCIS made an error in denying the application, the judge will rule that the individual is eligible for deportation. The immigrant has 30 days to appeal this decision to the Board of Immigration Appeals. Should the BIA rule in favor of deportation, the immigrant has the option to appeal the decision in federal court. The appeals process is expensive. As such, it is not an option for every immigrant whose permanent residency application gets denied. If an immigrant receives permanent residency through marriage and the marriage is less than two years old, USCIS issues the immigrant permanent residency status on a conditional basis. The immigrant and his sponsor must apply to remove the conditions from the immigrant's status as soon as it expires. If the couple divorces before applying to have the conditions removed, the immigrant loses her status and USCIS may initiate deportation proceedings.